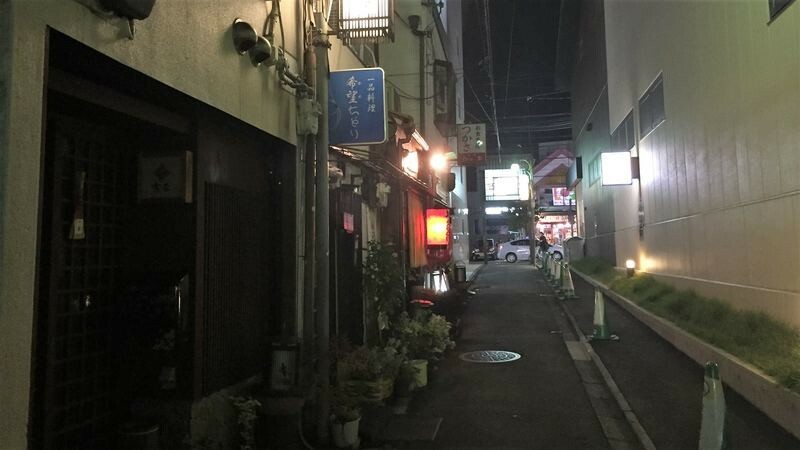 Nishijin Kyogoku is an alley with many pubs, a great atmosphere, and many old people drinking beer. 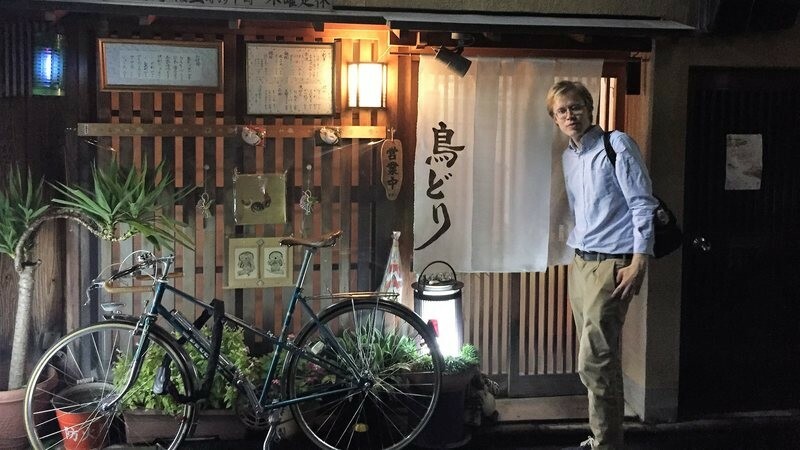 I have been to quite many pub districts in Kyoto that are only frequented by locals, and where you won’t see another tourist. I have been to Orizuru Kaiakan, Lido Inshokugai, and Yontomi Kaikan, and they were a lot of fun. 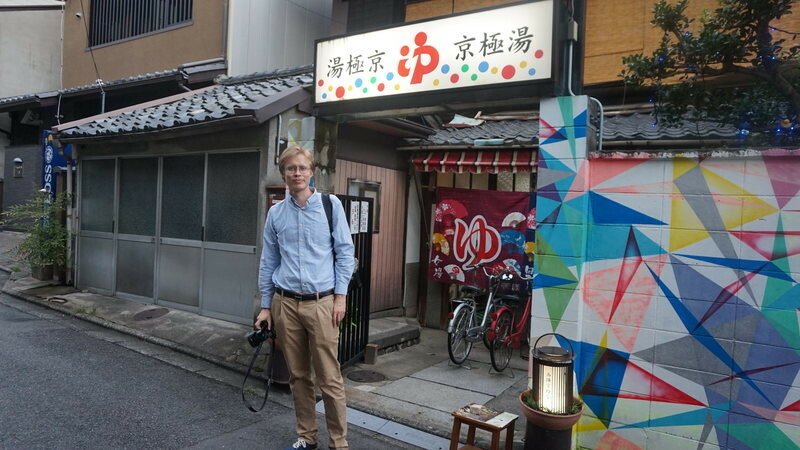 The area of Nishijin Shinkyogoku is just a few alleys, and it really is a residential area where you will bump into mothers taking their children home from kindergarten and see people hanging their laundry to dry. This area can only be accessed by bus, so there really aren’t even that many Japanese people from other parts of Kyoto, not to speak of from places like Osaka and Tokyo. The closest bus stop is Senbon Nakadachiuri, for those who are thinking of going. 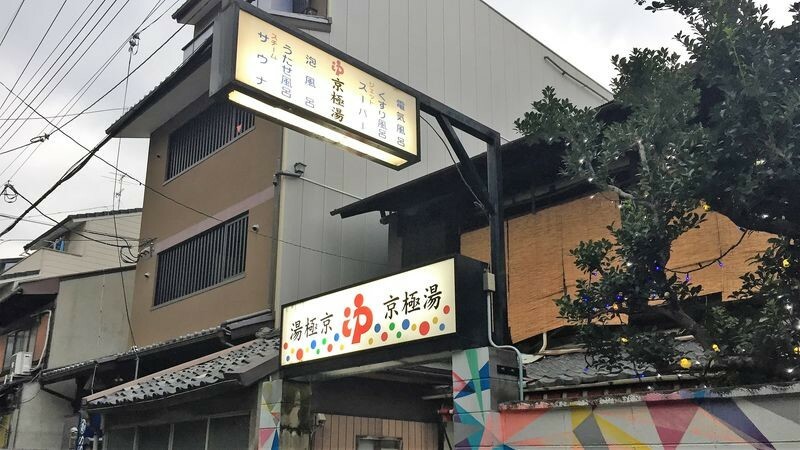 In the heart of it all you have Kyogoku Sento, a public bath with a retro feel. Some parts of this area look like they have not changed in something like 30 years, e.g. 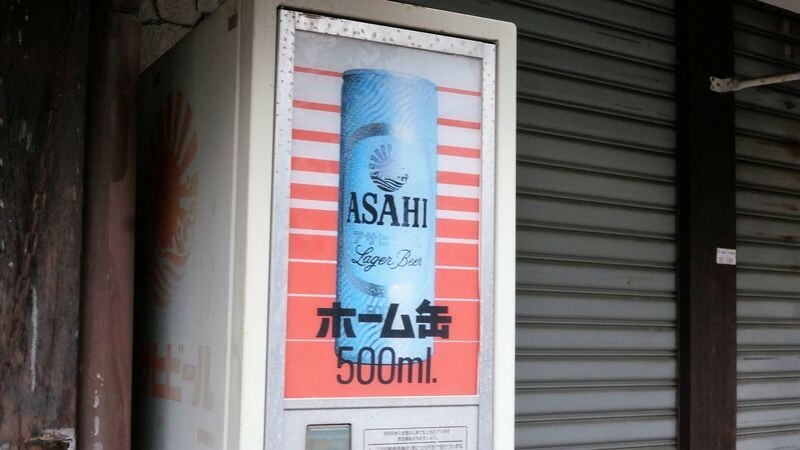 this vending machine selling 500 ml cans of beer for 280 yen. Unfortunately, it was not plugged in so we could not test if it is still possible to buy a “Home Can” of Asahi Lager Beer from it. After walking around the area for a bit, we decided to first go to Toridori, a pub offering chicken dishes, as those who know Japanese probably already got from the name. 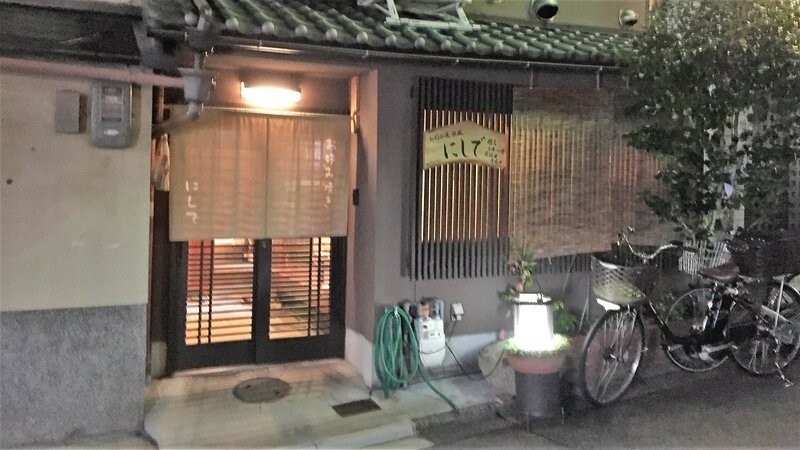 This pub is almost like a restaurant, and inside it has a pretty traditional Kyoto-feel to it, although the prices are not that expensive. We first had some yakitori chicken skewers, but afterward, my boss ordered this: chicken sashimi. So, in other words, raw chicken. And we have probably all heard that you should NOT eat raw chicken. 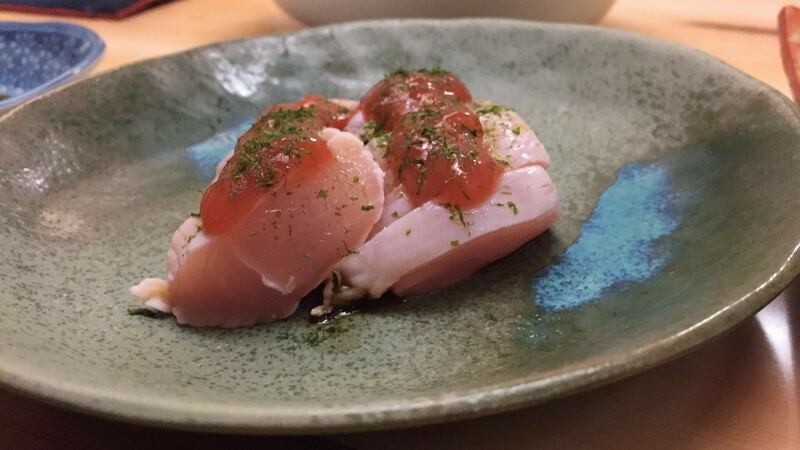 But this chicken with an ume sauce on it tasted pretty good, the texture also reminded me of salmon sashimi. There is just the ick factor to it, and the fear of food poisoning, so even though my first chicken sashimi tasted delicious, I’m not sure if I’d order it the next time. 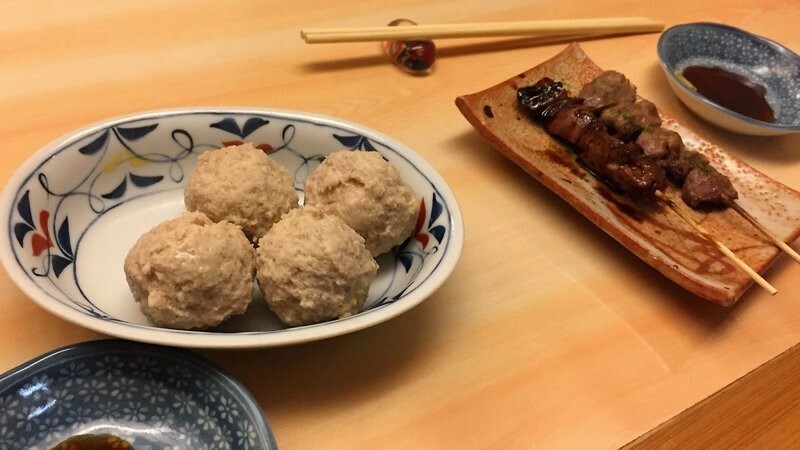 Toridori is famous for their minced chicken steamed tsukune, which are really juicy. 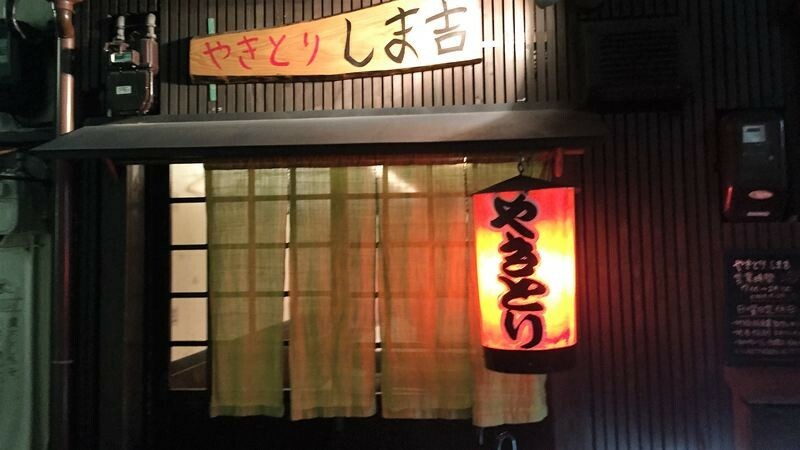 Their chicken skewers are also nice, and they have a subtle, more Kyoto-like taste to them than the ones you usually get. With these chicken skewers, you really get to enjoy the taste of chicken by itself, without it having to be covered with copious amounts of tare sauce. No, this is not somebody’s house, this is a restaurant. 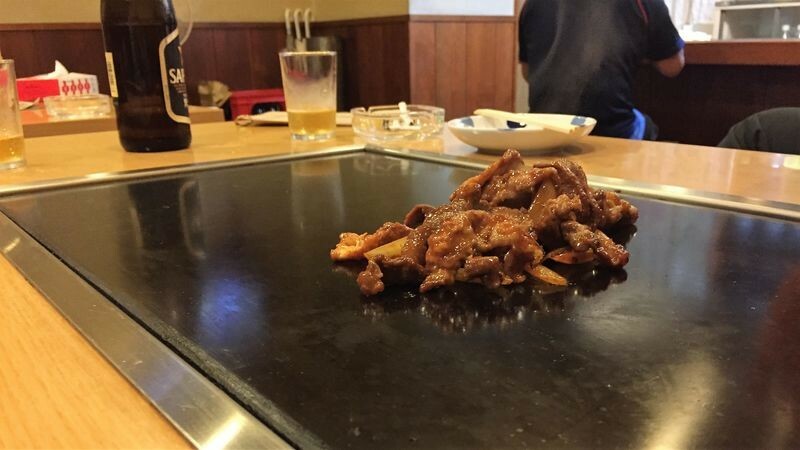 Next we wanted to go to a place called Omoide that offers hot pot among other things, but it was full so we decided to go to an okonomiyaki place. 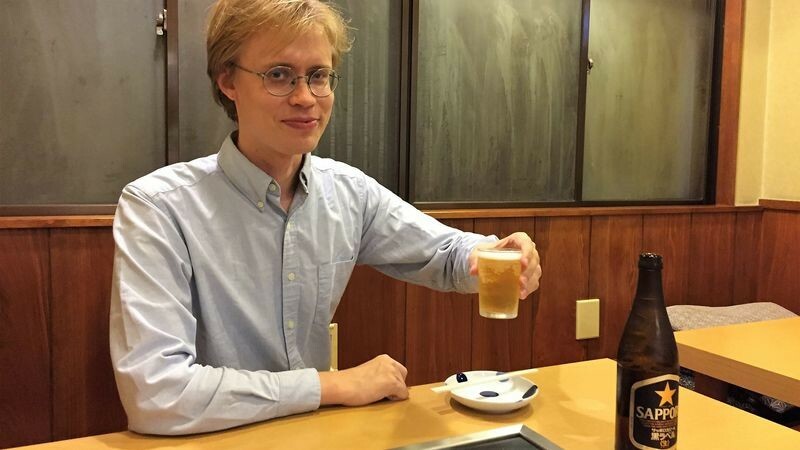 They had Sapporo Black Label, which just happens to be my favorite non-craft beer in Japan. 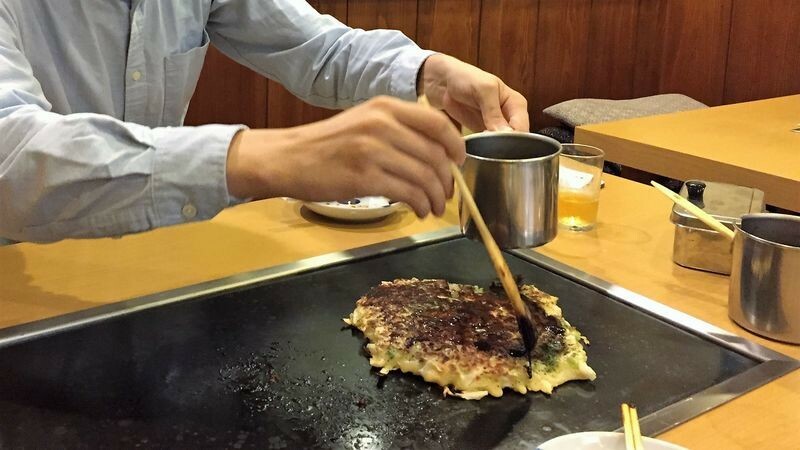 The most fun part about the okonomiyaki was that you got to put the sauce on it yourself, and they had two kinds of sauces. On our way to the next pub, we saw this yakitori place, but after raw chicken, we were in the mood for something else. After this, it was getting pretty late, so we decided to end our day of drinking at Takoichi, a takoyaki place you can find only in Kyoto. 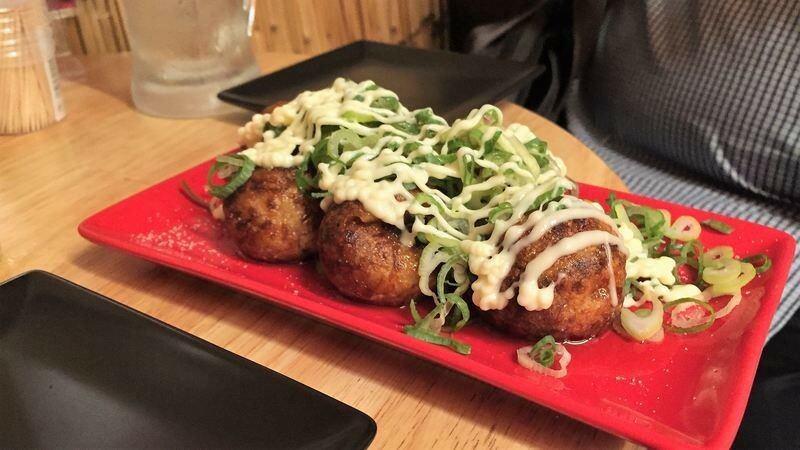 At Takoichi they use sesame oil making the takoyaki incredibly fragrant, and quite frankly, just delicious. We also tried their “fancy” takoyaki with black pepper and lemon, but like it often is, the basic takoyaki was the best choice. 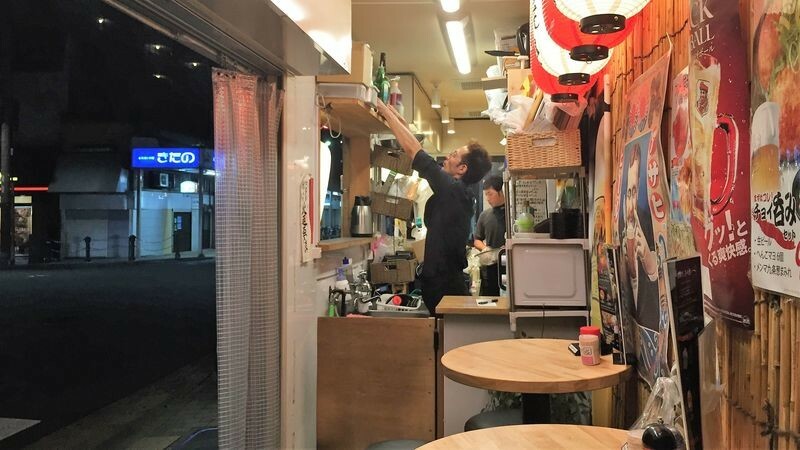 Drinks here only cost 299 yen per pint, so if you want to drink for a cheap price while snacking on takoyaki, there are few better choices than Takoichi. In Japan the government is trying to promote a better work-life balance by coming up with a concept called premium Friday. The last week of the month is a premium Friday when you get off earlier. 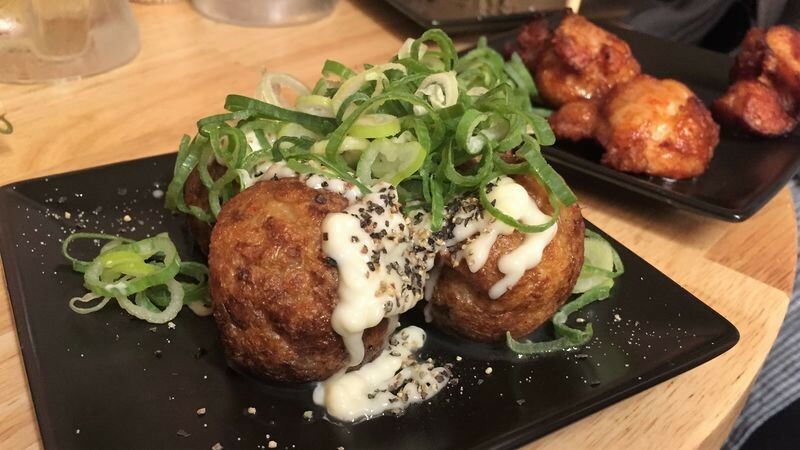 Most companies, like ours, don't have a premium Friday, but we wanted to have at least something that was a bit more premium so we ordered these premium takoyaki octopus balls for a nice, premium ending for our Wednesday night out. It was a lot of fun to go out, but this area is not that easy; the restaurants here are all but welcoming if you look at them from the outside! Even more so than at places like Orizuru Kaikan; it actually felt a bit intimidating. But the people were really nice, and especially the chicken and takoyaki were great.